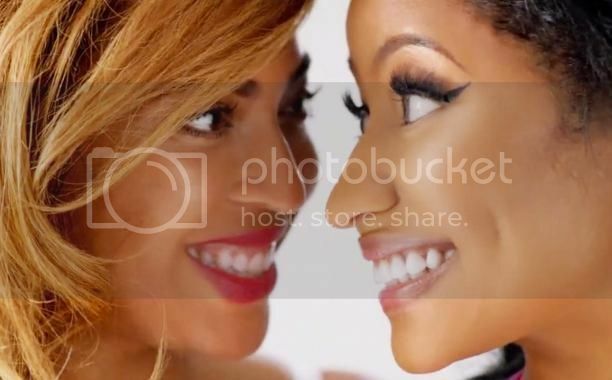 Nicki Minaj and Beyoncé Share California Love in the Video for "Feeling Myself"
Home Beyoncé music videos Nicki Minaj Nicki Minaj and Beyoncé Share California Love in the Video for "Feeling Myself"
Nicki Minaj dropped the long-awaited visual for "Feeling Myself" from her third studio album, "The Pink Print." The video shows Nicki and Bey dancing, eating, and generally looking flawless in Coachella, California. Tidal subscribers can view a high quality version of the video here. Just like that, the pair might have the song of the summer on their hands.